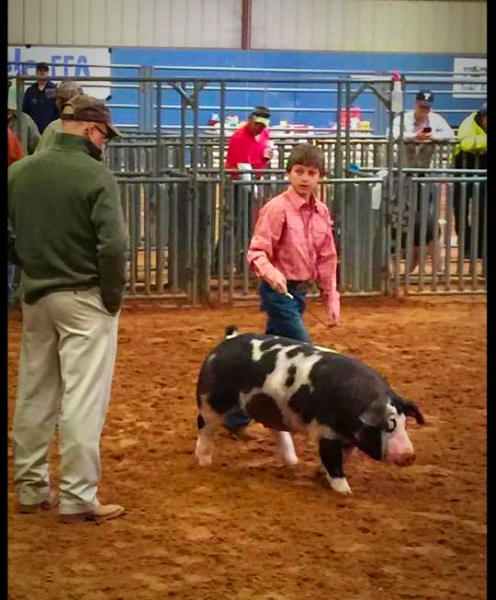 2015 BELL COUNTY TEXAS 4H SHOW. 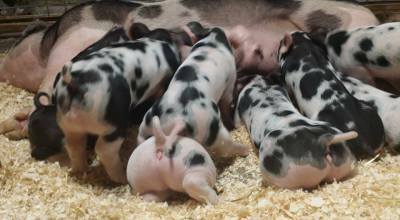 WE RAISED ONE LITTER THIS YEAR AND ARE LOOKING FORWARD TO EXPANDING TO AS MANY AS 4 LITTERS FOR THE 2018 SHOW SEASON. NAE NAE IS A SPOT SOW THAT WE PURCHASED FROM SPINN FARM OUT OF HOLLAND TEXAS. NAE NAE DELIVERED 10 FREE FARROWED PIGLETS WITH SUPERVISION AND RAISED 9. WE WILL BE KEEPING 3-4, AND WILL SELL THE REMAINING 5-6. PLEASE VISIT OUR PIGLET NURSERY FOR CURRENT PICTURES. PLEASE LEAVE A MESSAGE AND ONE OF US WILL RETURN YOUR CALL AS SOON AS POSSIBLE. TEXT MESSAGES WILL WORK TOO.